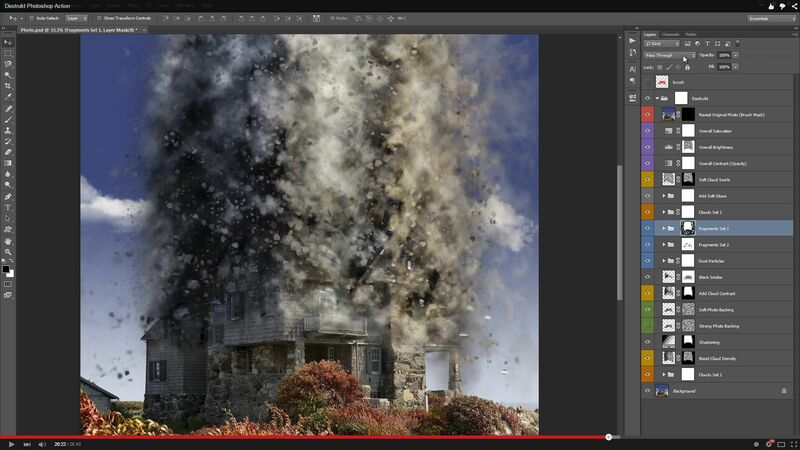 Create this incredibly detailed effect with no effort all – saving you hours and hours of work….per photo! All elements remain layered giving you maximum flexibility over the look. Make sure to watch the video tutorial on how to get the most out of the effect.You can choose from 5 different directions to apply the effect – Left, Right, Up, Down or Middle. If you need assistance with this action or any others, please visit the support pagehere. This page covers FAQ, general knowledge about the actions and ways you could make money with them. For the best results, it is recommended to use high resolution photos in the range of1500px – 3500px. The optimal range is from 2500px – 3500px. The detail and clarity in the effects generated by the actions reduce the smaller your photo is. If you own multiple actions, have you thought about stacking the effects to build even more advanced designs? Below there are over 40 actions to choose from – this is where you can get really creative!